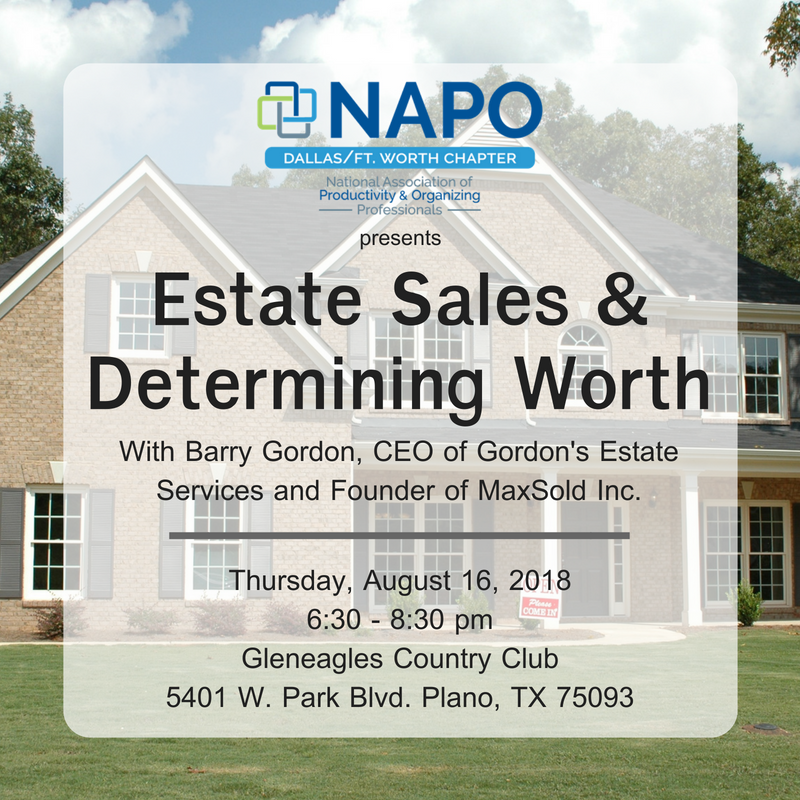 Barry Gordon is CEO of Gordon’s Estate Services and founder of MaxSold. He has been a Transition Specialist for the past 20 years and a REALTOR® since 1978. Barry is a sought after speaker and educator. In 1991, he co- wrote and taught “Certified Estate Specialist”, the first course in the area of estate transitions and which may have been the inspiration for later courses such as Accredited Senior Agent and Senior Real Estate Specialist - both of which he has taken. Gordon’s is the exclusive trainer for Certified Relocation and Transition Specialist in Canada. Park in the main parking lot and enter through the west porte-cochere doors. We will be straight ahead just past the main desk on the right. No outside food or drink is permitted in the Gleneagles Country Club. However, a meal option is available for all members and guests if ordered and paid for by AUGUST 7th. Meals are $22.00 each which is non-refundable and include a sandwich of your choice, potato chips, a fresh apple or banana, a chocolate chip cookie and a bottle of water. You can make your meal selection during the registration process. PLEASE NOTE: Any and all meeting registration fees and meal charges are non-refundable.